Doing you nails is something you can do all on your own. The most fascinating nail styles of the season can be done at home. Your nails can be done in a variety of ways, and you must make sure that you are choosing the style that matches your personal style. Glitter nails can be very bright. Glitter nails can be demure, or glitter nails may contain a pattern or image. The bright nails that you put on are there to make a statement. You may wear blood red when you go to your next board meeting to make sure all the boys know you mean business. That same blood red could be worn with a red dress, heels and lips to make sure the man in your life gets the message. Finally, bright nails are simply a way to put your personality out there. You may enjoy making people give a second look, and your nails may do just that. When you do your nails in a noticeable pattern, people will be able to see your nails easily. You can paint your nails for the 4th of July. You can paint your nails for your vacation, or you may paint your nails when you are taking a trip to a major theme park. Images can be used in the same way. If you paint a special image on your nails, everyone is going to take notice. 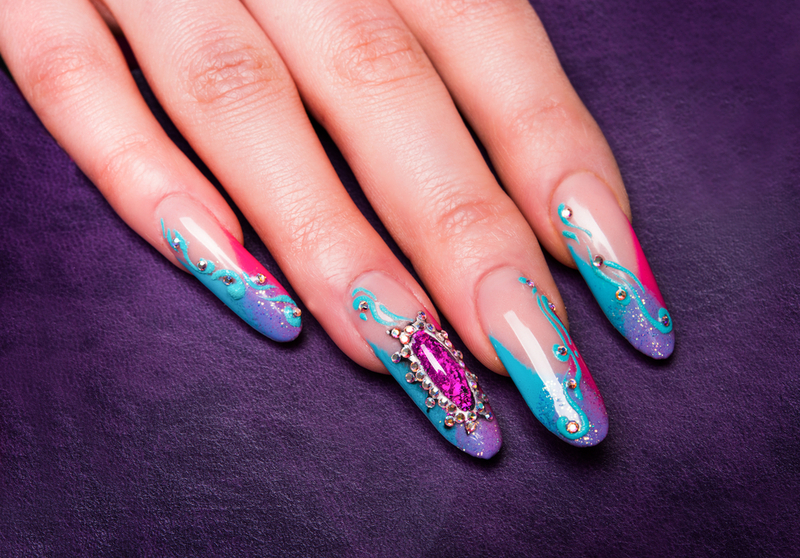 You are more likely to turn heads with your nail images than with anything else. Doing something special with your nails changes the way you interact with your clothing and personal style. People can see your style on your nails so you do not have to wear it in your clothes. Likewise, people can see the embodiment of your style from the tips of your toes to your nails.